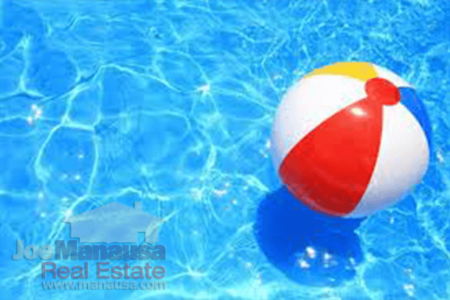 There are great home values to be found in the top Tallahassee neighborhoods, you just have to know where to look. The housing market recovery is underway, but its application is not consistently applied throughout the Tallahassee real estate market, where housing supply and demand fluctuates greatly due to home building trends of the past ten years. 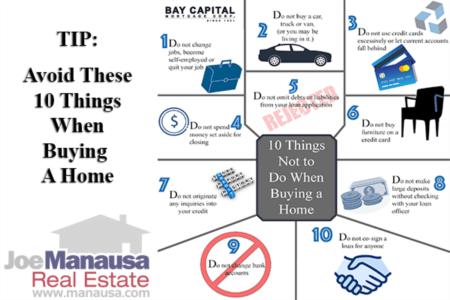 Prudent homebuyers will want to take a smart approach when entering the market, and if they follow their plan, they can expect to find some incredible deals. Every so often, we like to publish a list of the most active communities in the Tallahassee real estate market. The real estate graph below shows from left to right, the subdivisions in Tallahassee with the most closed home sales and the average value recorded in each one. Southwood retains the title as the most active neighborhood in the Tallahassee real estate market, though Killearn Lakes Plantation has far more sales when we consider all the neighborhoods that are tracked separately (like Golden Eagle Plantation). Killearn Estates comes in at number 2, while Piney Z and Bull Run round out the top five. Eight of the top nine subdivisions in this report are located in the northeast quadrant of Leon County. 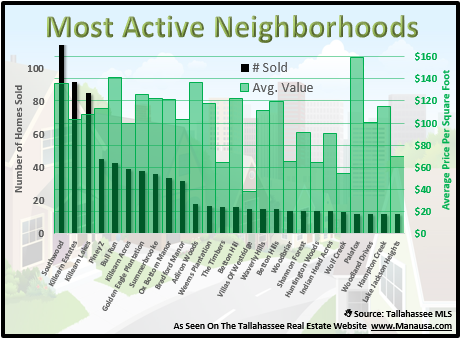 Compared to some larger markets, our neighborhoods in Tallahassee are much smaller. While we have a few larger ones with thousands of homes, the reality is we have many that have fewer than 20 homes. Currently, our list of subdivisions in Tallahassee measures at more than 1,700, and we are currently working to have a page for each one for those of you who like to look at targeted home searches with results contained to a single community. If you want to know more about any one of our 1,700+ Tallahassee neighborhoods, just drop me a note and we will work hard to get the answers that you seek.